COMMENTS: Suggestions or comments as we grow? Contact us here. 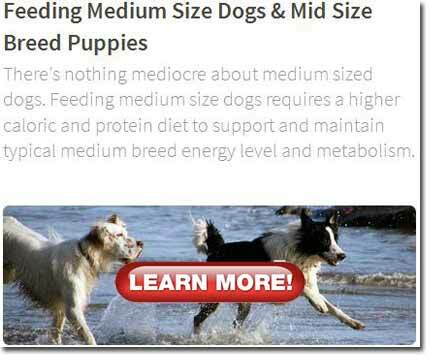 Feeding My Dog Breed provides breed specific diet & nutritional information about feeding you dog! Simply think.. Feeding My "your dog breed here".. and we've got you covered. 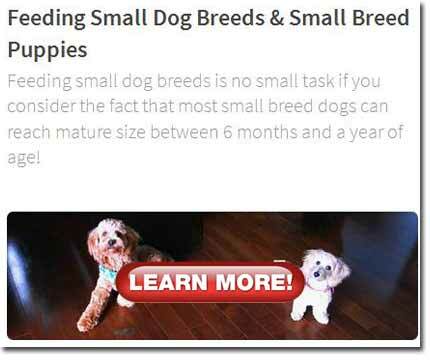 Feeding My Dog Breed is your online information resource of everything related to feeding YOUR dog. Whatever your breed, we've got you covered with specific articles on diet and nutrition for just about every breed dog. From the smallest toy breeds like Chihuahuas, medium dog breeds, to giant breeds like Great Danes and Wolfhounds! 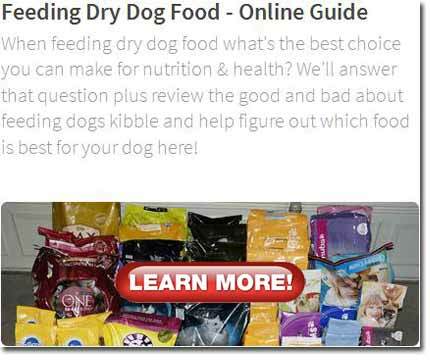 How Can Feeding My Dog Breed Help? 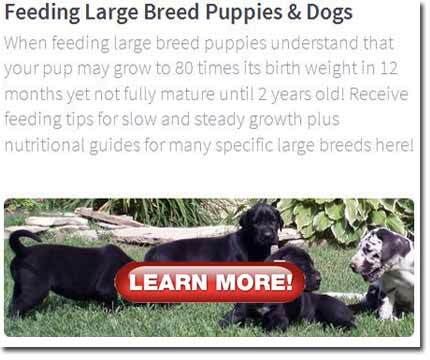 Receive breed specific diet and nutritional guides for YOUR dog plus extra bonus breed related tips. Learn about commercial pet foods plus how to read and understand ingredient labels to interpret nutritional value. 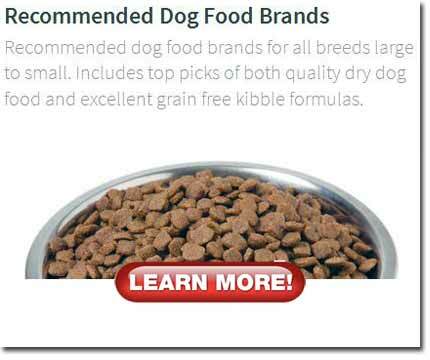 Review various methods of feeding your dog such as kibble, grain free kibble, and raw dog feeding. Learn how to spot good and bad additives in dog food plus how the source of ingredients can determine if they are safe or not. Find the right diet for your new puppy and learn how nutrition can affect development of certain breeds. Read about health problems caused by improper nutrition and how to avoid them. Grab some first hand advice and recommendations from the Feeding My Dog Breed Team on how to choose a good dog food, plus so much more. Why Feeding My Dog Breed? Because we love dogs as much as you do and have over 60 years combined experience with dogs of all breeds BIG to small. Our website is part of a network of dog related sites that are operated by jZ Canine. 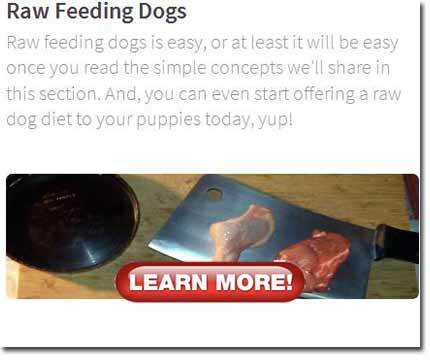 Publishing and on line since 2005, we've found that food and nutrition is often one of the most frequent subjects dog owners write in about. Since the dog food industry has evolved exponentially the past decade, Feeding My Dog Breed.com just made sense and we have first hand dog feeding experience to share in the form of this website. Whatever your breed, Feeding My Dog Breed.com has you covered and we trust your visit here will leave you with great insight on wonderful ways to provide the best nutrition for your favorite furry family member! And don't forget, if you have specific problem, comment or suggestions for our site, feel free to Get in touch using our "contact form" found at the top of any page.